Growing, growing, growing, the journey of success has been marked with outstanding achievements and superior accomplishments. Year by year, Unitech has been acknowledged by major construction consultants in the region, governmental authorities, well-known contracting and project development corporations. It has obtained invaluable knowledge about the construction industry in general, providing specialized solutions to construction projects worldwide. 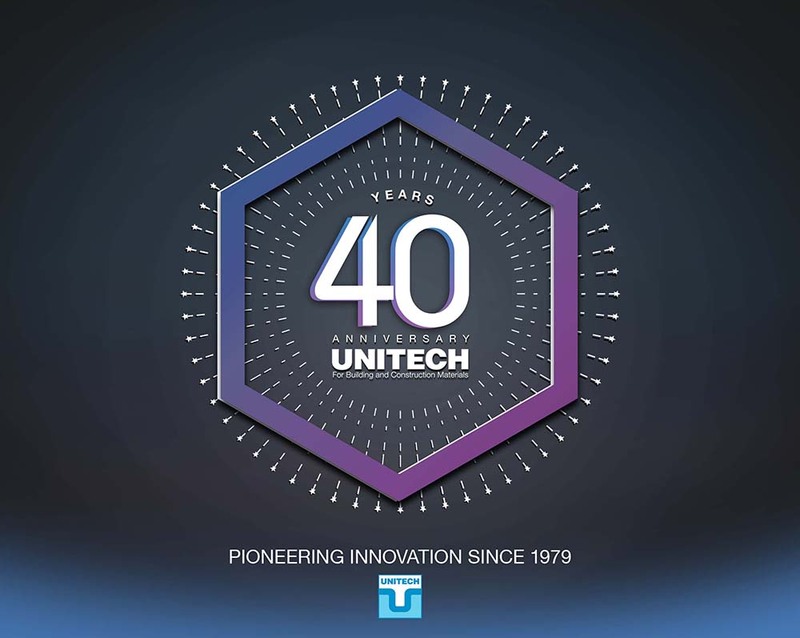 From a couple of outlets in Saudi Arabia, Unitech today is present in several countries throughout the region and continues to provide its solution to various locations worldwide. We are constantly evolving in order to become more flexible in our operations, more sustainable in our societies, and more innovative in conducting our business. By delivering superior products tailored to the specific construction needs, ambitious solutions, and an outstanding customer service, we serve today’s needs through developing tomorrow’s markets. Helping construction projects experience success is what fueled its days. Unitech is keen to continue offering superior products, a wide spectrum of solutions, governed by our top-notch management style. Our 480 months of hardwork, 2,080 productive weeks, 14,600 energetic days, were only a start. We look forward to many more years of achievements and accomplishments such aspirations require trust in our responsibilities… Our Responsibilities for the future. For 40 Years now we have been operating in the construction sector that has been constantly challenging, evolving and for us to survive and thrive as a company is an achievement that I am particularly proud of – we are honored to be here in 2019, and even more so to have done it on the back of our consistent strong values of IKK Group along with our Hardworking Staff, Great Management Team & Loyal Customers. Scrutinizing processes and structures, and assessing the ways where we may become more efficient while driving toward performance. Improving and streamlining operating processes as we must always strive to perform better with each passing year. Providing practical guidance and training internally that is aligned with our strategy and customer commitments. Improving internal measurements that help us gauge/measure organizational performance in real time. Providing tools and new approaches that enhances the staff's productivity. We look forward to a stable and productive 2019. My sincere gratitude goes to all our wonderful staff and loyal clients who have stood by us this year! We are a “Solutions Provider” company, specialized in the Design, Manufacturing and Trading of Building and Construction Materials in the region.